Real estate marketing is crazy! Should you be doing Zillow or Facebook, get a new website or do more phone calls? Should you have a farm or just make some more friends on Facebook? Plus, how will all this make you more commissions? Some days it seems like everyone is calling you with a new marketing ploy that you can spend your hard earned money on. They also must have all have attended the sales training session that says, “Realtors get big commissions” so you can just tell them anything and they will snap up your product. The agent down the hall just ordered the latest personal marketing package, is that REALLY the best way for you to spend five or ten THOUSAND dollars? WE KNOW HOW HARD YOU WORK! 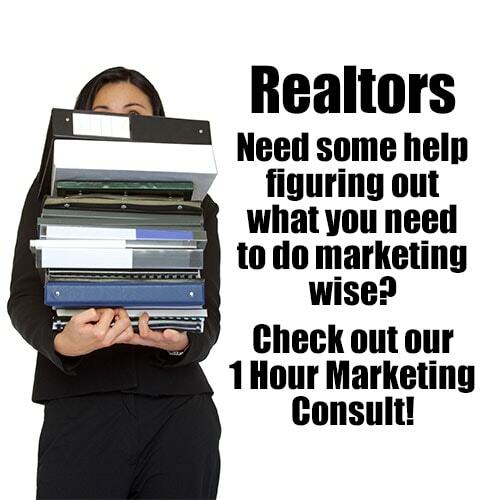 We are not just some marketers who just happens to work with Realtors. Tara was an agent herself, until she figured out how hard it is to do a good job at real estate. What she was good at was marketing, reaching the top 10% of GCI in a 180 agent office in just under two years. We have taught marketing at MLS offices and as a hired gun speaker throughout the country and last (and most important in our book), two of our three best buddies are Realtors so we haven’t lost contact with what works and doesn’t work in the marketplace. IS THIS A SALES PITCH? So now you are considering spending more money and worry that this call will just be a sales pitch, right? No worries! This is one hour of full on marketing talk, with no weird pauses leading up to something to buy at the end. The way it goes is this, we will start with what you want to accomplish, what you like to do (people tend to not do what they don’t like, deep we know! 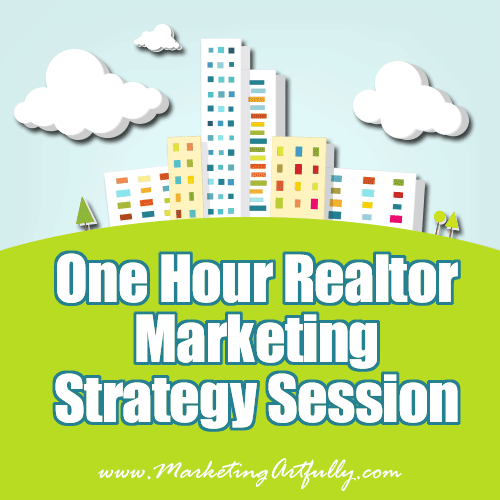 ), what you could do, and then a plan for the next three months on what you need to do to get them most leads so you can get listings or put buyers in your car fast! Some of the ideas are going to be free or very inexpensive. Or if you have a budget, we will look at what would be best to spend on.